IF : Please tell us about yourself. What makes you different? Nitin : I am a Happy go lively guy.. An optimist ever-ready for challenges.I am always full of energy to take new jobs and explore, learn, fail, and rise. IF : Which internship did you get the chance to take? What was it all about? Stipend, duration and place? 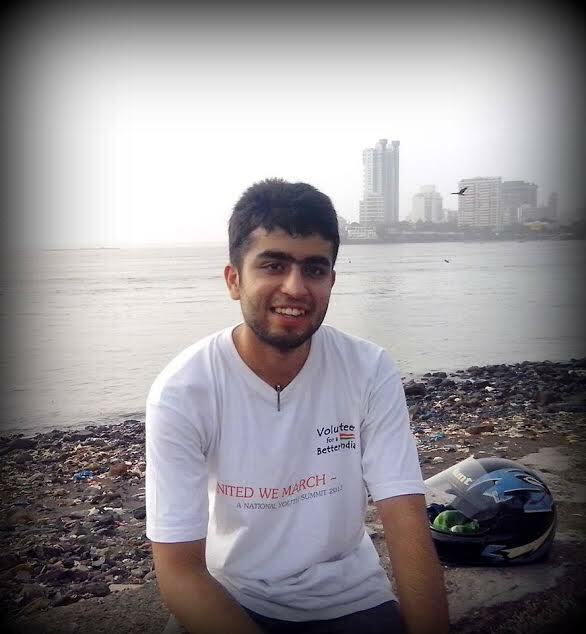 Nitin : I did my research work at IIT Mumbai in Aerospace Department. I spent around 2 months developing a recovery device for Aerostats (A Lighter than Air Equipment) – that was one of its kind. As I approached my professor through mail, no stipend was given, yet, I managed to do one coding project under Scilab Project of IITB CSE department from which I managed to fetch handsome pocket money. So technically I did two internships : One in Aerospace department (No Stipend) and one Scilab coding project having honorarium of 10K rupees. IF : How did you come to know about the internship? To what all sources you kept yourself connected? Nitin : Our college invited the professor for a three day workshop during which I managed to convince him to mentor me for summer project. It was just because of personal interaction I was given the chance to work under his guidance. IF : Tell us about the procedure to apply for the internship. Who all are eligible to apply for this internship? Nitin : Every student who is highly enthusiastic and highly dedicated to work on a new project, which may or may not be a success, who he can invest his 2 months for learning is eligible to apply. The rest are his skills to convince the Professor. You just need to mail him your interests which must resonate with his requirements. Then one could be considered for a suitable candidature. Rest, after the confirmation you just need to apply for accommodation in IITB. IF : Let’s talk about how competitive the selection process is. What qualities of yours, you believe helped you in having an edge over the selection process? What key things you feel were looked for by the selectors? Nitin : I know that it was solely due to PR related skills – the kind of hospitality from our college and rather long hours of technical discussions we had related to research in India was what showcased him my interests and that helped me get through. Although later I found one can also apply through a personal approach to convince them, through the personalized mail. IF : About when did you get the news for the selection? How were the celebrations done? Nitin : I was elated as I didn’t expect to receive his call after dinner hours. And yes, thinking about IIT and Mumbai I started wondering about my exciting summer vacation ahead. IF : What all preparations you did after the results in view of the internship? IF : Please tell us what work/research project you carried out during the internship period? Its application in the near future and your work in it? Nitin : The Title of my project was “Design Development and Field Trials of Payload Recovery Device for LTA systems”, you can download the paper from Springer Magazine. Its main purpose was to handle the system in emergency conditions of tether (A kind of rope) breakage. There were 4 highly dedicated people, working to develop that device. We were responsible for designing the circuits, making the aerostat and testing it in the lab. It was after 29 repeated failure attempts that we finally managed to actuate the device successfully. IF : What was the best thing about the work culture and the internship? What all things you liked there? Nitin : No time restrictions. A flexible routine, kitchen-in-lab, late night designing, high speed net facilities and above all IITB citizenship for 2 months. IF : Were there any special events during the internship? Nitin : Not during internship, but I was being called for field trials and extended final year project afterwards. Thus, I was able to attend both Mood-Indigo and Techfest. IF : What was the guidance provided by your guide/mentor? What all support you received from the administration at the intern place? Nitin : Everything that was demanded was available-faculty assistance, circuitry, workshop permissions, late night working permission. My mentor supported me in every way he could. IF : Let’s now talk about some negatives. What problems you or your friends faced, regards the internship, which your juniors may be able to avoid? IF : Anything else you would like to tell us please. Feel free to share any interesting thing that happened. 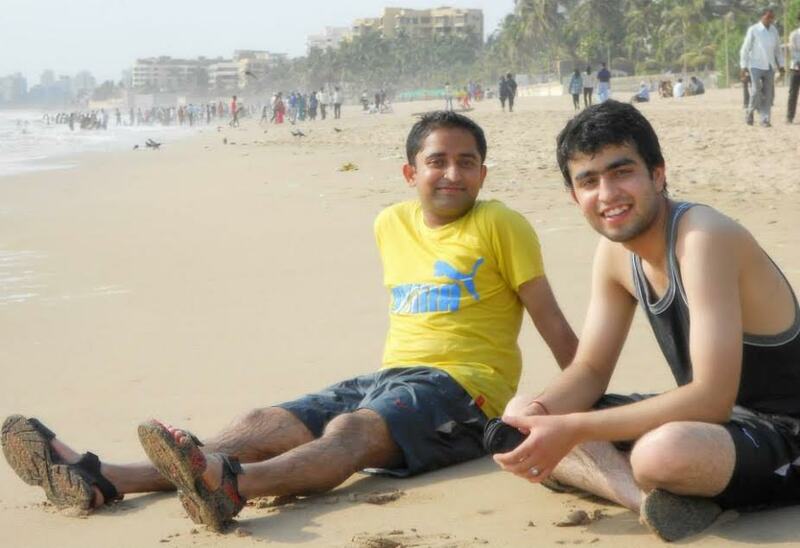 Nitin : You will love staying in IITB, but you need to explore the places around! Feel free to travel Mumbai as the city is beautiful. IF : Was this your first internship / training? IF : To whom all you would, like to thank in the context of this internship? Nitin : My Professor Dr. R K Pant, Aerospace Engineering Department IIT Bombay. My Parents who supported me every second I was working and my friends Kushagra, Tanmay, Sakshi, Vishaal Sir and many more. IF : How much difference this internship period has made in your intellectual capabilities and mindset. In broad terms what are your gains from this? Nitin : It was after this internship I developed high interests in developing new systems, writing research papers that might help one in future for applying for MS etc. I learnt how to deal with tough situations of failure and to take risks. How to lead a team, take responsibility in tough situations and never giving-up. IF : Advice for juniors? Which can help them in getting internships in their future college life and also advice for making the best out of it. Nitin : I will say hard work pays. Be gentle, keep a smile and keep mailing professors you will surely get reply if not from abroad – may be from a Tier 1 institution of our country. Rest contact your seniors for referrals. IF : What are your future plans after this internship and how much impact will this internship have on it? Nitin : I know this internship led to 3 successful research papers which helped me clearing my campus interview and which may help me in getting a great college for Masters. IF : Any views about this initiative of InternFeel, and how beneficial it would be? Any suggestions for improvement? Nitin : Students get a clear picture by interacting with the experienced guys/gals. Hence, they have a view of the path they just need to step now!! To which you people are definitely giving a bright spotlight. IF : It was so nice to know all about this. We agree, you would have been busy with your academics. Even then, you took out time for this. We thank you and wish you the best of luck for all your future endeavors. For any kind of query you could mail him on nitin.sharma151993 at gmail dot com, with ‘InternFeel Query’ in the subject.